The Jetwing aircraft at Mojave Airport. I have been entrusted with a treasure trove of photos and aviation history about Mojave Airport. Jerri Sabovich, widow of Dan Sabovich, first general manager of Mojave Airport, gave me the Mojave Airport scrapbook and hundreds of Dan’s photos that were taken during his more than 30 year tenure as manager. Jerri requested that the scrapbook remain at the airport where the history was made and the Mojave Air & Spaceport CEO-General Manager, Karina Drees, said that it will be preserved in a special display case so visitors can view it, but not touch it. Drees made sure the scrapbook, which covers the history of the formation of the East Kern Airport District in 1972, all the way to the year 2000, was preserved and digitized. A large computer screen is mounted on the wall in the airport Administration Building, where each page can be viewed, simply by pressing a button. The many first flights, the air races, ground breakings for new tenants such as Burt Rutan’s Scaled Composites, the fabulous flight of Voyager around the world, non-stop and unrefueled, are all documented in the scrapbook. In a separate photo album that Jerri gave me, I found photos of an unusual looking aircraft on the flightline at Mojave. After doing some research and asking some of the airport ‘old-timers’ I discovered the history of the Bell-Bartoe JW-1 Jetwing. The Jetwing on display at the Wings Over the Rockies Air & Space Museum in Colorado. 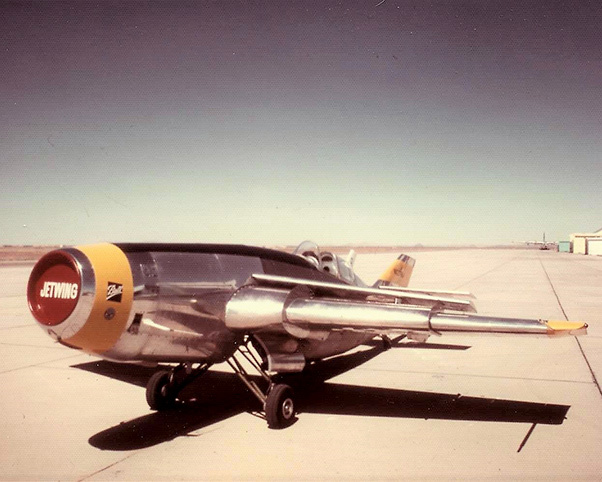 That new conceptual aircraft made its first flight at Mojave Airport on July 11, 1977, with famed Lockheed test pilot Herman ‘Fish’ Salmon at the controls. Forty-seven flights were flown at Mojave for a total of 34 hours. 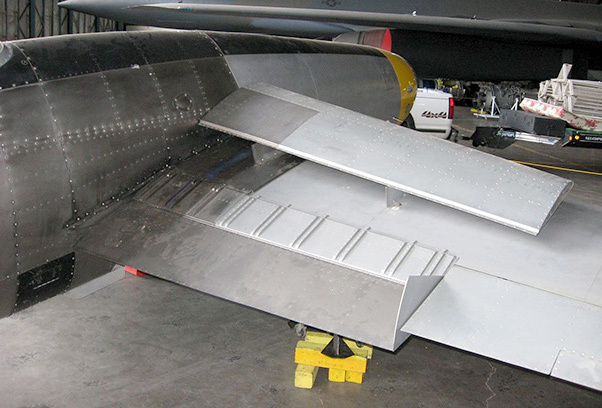 The concept achieved STOL (short takeoff and landing) ability and by directing all of the engine air through the leading edge and spewing it over the top surface of the wing with a slot nozzle, immense extra lift was achieved. 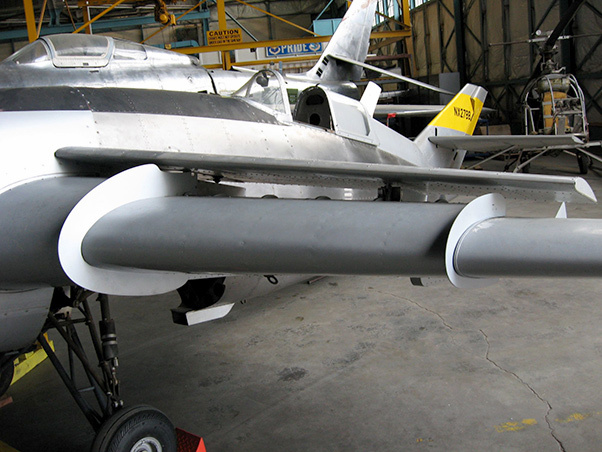 The nozzle extended along the majority of the wing span. In addition to the main wing, a smaller wing panel was mounted above the slot nozzle and a Coanda flap was mounted at the trailing edge of the blown portion of the wing. The blown-wing configuration generated more than twice the lift of a conventional wing of the same era. The Jetwing flew slowly enough that Bartoe could use his Super Cub as a chase plane. Here is information about the amazing test pilot, ‘Fish’ Salmon, that I found on the Wisconsin Aviation Hall of Fame website: “Born in 1913, Herman Salmon took his first airplane ride at age 14 and four years later was a licensed pilot. In the 1930s, Salmon flew as a barnstormer, parachute stuntman and race pilot. He was hired by Lockheed in 1940 to ferry Hudson bombers and then progressed to engineering test flights. 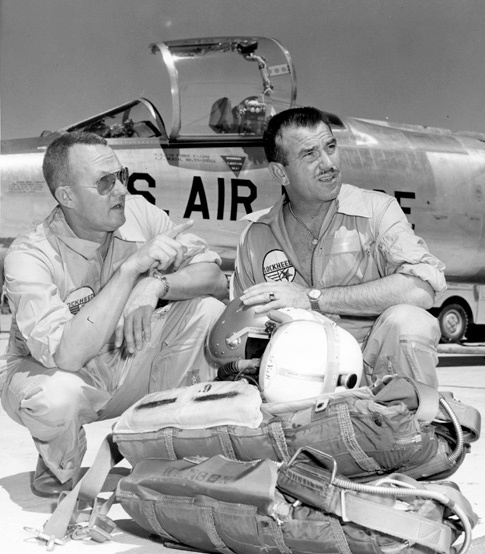 He had a unique ability to handle troubled aircraft with a very sensitive touch on the controls. The front view of the Jetwing augmentor. I was surprised to learn that a man who had worked with the Ball Corporation since 1956 manufacturing glass canning jars, was also a gifted engineer with an enthusiasm for aviation. His name was Otto E. “Pete” Bartoe. While vice president and general manager of Ball Brothers Research, he convinced Ball to finance an offshoot company that would allow him to explore the ideas he had about using jet exhaust to produce and to develop the “Jetwing” idea into a proof of concept research aircraft. He then became president of the new company, the Ball-Bartoe Aircraft Company. Jet engines were new in the early 1950s and all that power shooting out of the jets caused engineers to wonder if it could be put to some kind of advantageous use. 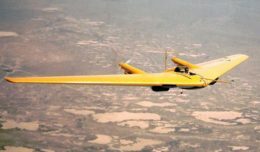 Bartoe was interested to know if all that energy might be ducted and redirected and blown over the wing, increasing airflow, and thereby increasing lift. Of course, all aerospace design engineers know about the ‘blown wing’ today, but my young formative years were spent on a farm in Ohio and I never would have thought that the company that made all of the glass canning jars that I saw in my mother’s pantry as a youngster, would be connected to aviation. The rear view of the Jetwing augmentor. The Ball spinoff company, formed in 1973 and located in Boulder, Colo., grew into a leading aerospace firm that now produces instruments, spacecraft, sensors and numerous other advanced technologies. Fun to know that their first flight test work was accomplished at Mojave Airport! 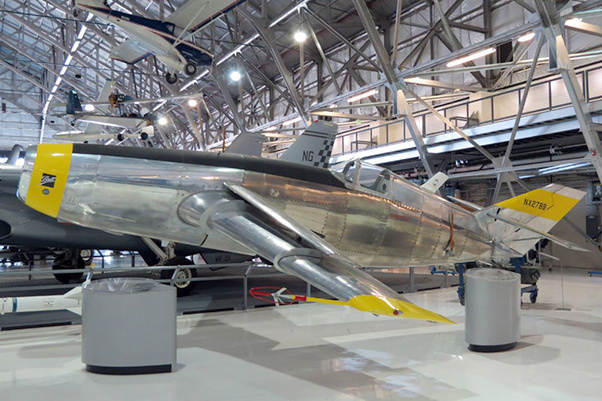 This one-of-a-kind test aircraft is on permanent display at the Wings Over the Rockies Air and Space Museum in Denver, Colo. The Jetwing remains the world’s only blown-wing tailwheel jet aircraft. Mojave Airport has had many ‘first flights.’ Many unusual, one-of-a-kind flying machines have been designed and test flown through the years, at our famous Mojave Air & Spaceport! Tony LeVier and ‘Fish’ Salmon.